FLESHCRAWL came to life in spring 1987 by Stefan Hanus and Bastian Herzog. 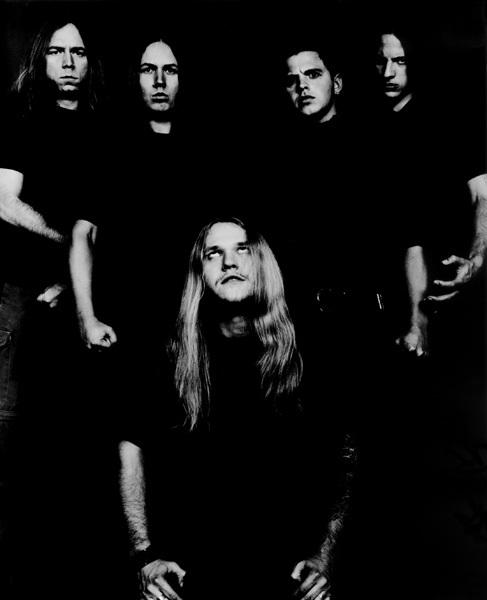 The band worked under the name Morgöth until the year 1990, when they changed their monicker to Suffocation and decided to become much more extreme concerning the musical direction. After their first demo tape “Festering Flesh” they were again forced to change their band name because of the upcoming US Suffocation and their first vinyl appearance. After having found a constant band name in FLESHCRAWL they released their first 7″ EP “Lost in a Grave” in 1991 on Morbid Records. One year later FLESHCRAWL inked a record contract with Black Mark Production. In June 1992 they recorded their debut album “Descend into the Absurd” at Montezuma Studio, Stockholm. Shortly after, Mike Hanus replaced Gero Schmitt on guitar. 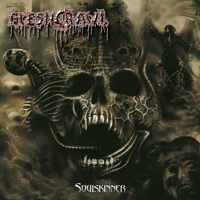 In 1993 Fleshcrawl’s second album “Impurity” was produced in Dan Swanö’s Unisound Studio. FLESHCRAWL received great reviews from the international press for their brutal and uncompromising Death Metal sound, not to mention their highly powered live shows. They proved their power at the Easter Bash Tour ’95 where they were joined by Deicide, Cathedral and Brutal Truth. 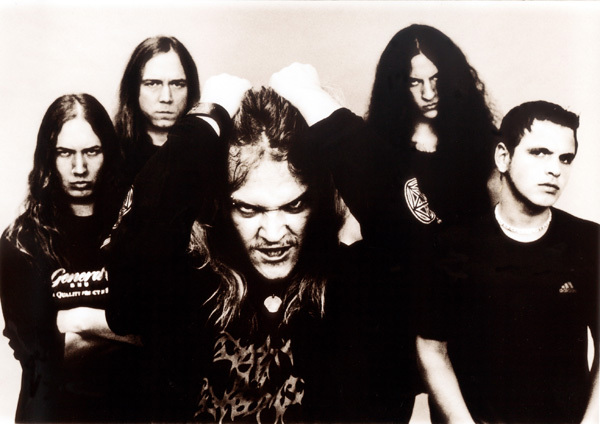 In December ’95 FLESHCRAWL recorded their third album “Bloodsoul” being followed by their fourth album “Bloodred Massacre” in 1997 – both recorded at Abyss Studios by Peter Tägtgren. Having been the debut for the new singer Sven Gross who took over the place of Alex Pretzer, “Bloodred Massacre” earned the best reviews since their first album in 1992. In 1998 Tobias Schick occupied the long time vacant bassist slot. 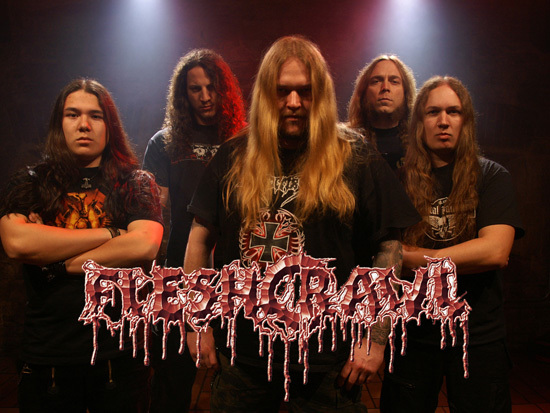 After the release of “Bloodred Massacre”, FLESHCRAWL cut the ties with Black Mark and went on a four week European Tour with Vader and Kataklysm, also participating in festivals with Cannibal Corpse and Dark Funeral. Back from the tour, FLESHCRAWL signed a contract with Metal Blade Records. In January 2000 “As Blood Rains from the Sky – We Walk The Path Of Endless Fire” – produced at Fredman Studios in Gothenburg – was released. A top class production with killer riffs and vocals that penetrate to the bone made “As Blood Rains from the Sky – We Walk The Path Of Endless Fire” an absolute must have item for all Death Metal Fans. Press reactions and reviews for this album turned out to be the best since the band came together in 1987. In June 2000 FLESHCRAWL went out to tour Europe together with Vader and Vital Remains for a 25 show trek. Several single shows and festivals followed throughout the summer (e.g. Czech Dynamo Festival, Summer Breeze Festival). In the meantime, FLESHCRAWL started preparing their new song material for their 2nd album on Metal Blade. 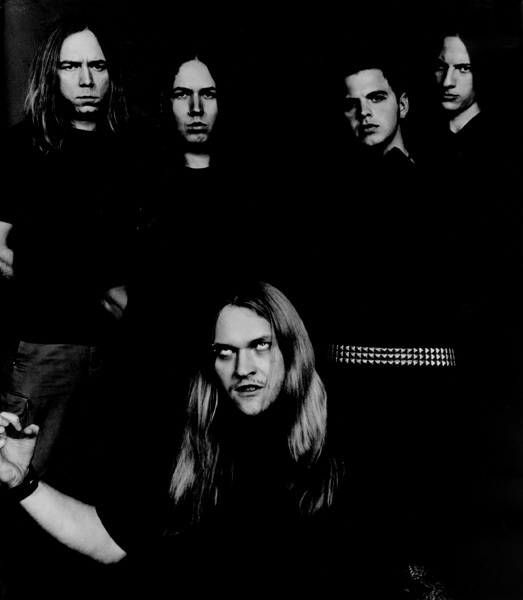 In January 2001 they supported Bolt Thrower on a warm-up tour of Germany and Holland followed by the Torture-Tour in June 2001 supporting Six Feet Under. That same year FLESHCRAWL performed live on the Party-San Open Air. In September 2001 the band entered Studio Underground in Västeras, Sweden, to produce album No. 6 – “Soulskinner”. 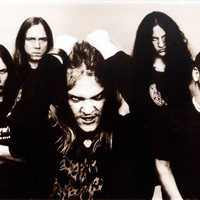 After having returned from the studio with the best feeling ever, the band went out to promote “Soulskinner” supporting Bolt Thrower and Benediction on a 4 week European Tour in January 2002. After having returned from Japan, FLESHCRAWL started writing for the next album. 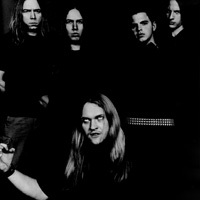 During the year 2003 the band made itself scarce concerning live shows in order to intensely prepare the new song material for the follow-up to “Soulskinner”. In November 2003, FLESHCRAWL again headed up to Studio Underground in Sweden to record album No. 7, entitled “MADE OF FLESH”, which musically kicks off where “Soulskinner” ended. “MADE OF FLESH” features 10 songs of extreme variety and deadliness – having something in store for every die-hard death metal fan! 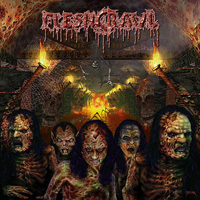 FLESHCRAWL supported “Made Of Flesh” by touring with Six Feet Under in February/March of 2004 on a very successful European tour. During the summer of the same year the band played various single shows as well as a bunch of open air festivals (Party.San, Summer Breeze, Metalcamp, Rock Harz, Skeleton Bash, Kaltenbach).